This ornate miniature candlestick pocket watch holder/ jewelry display stand was produced in France and dates to the 19th century, circa 1870. 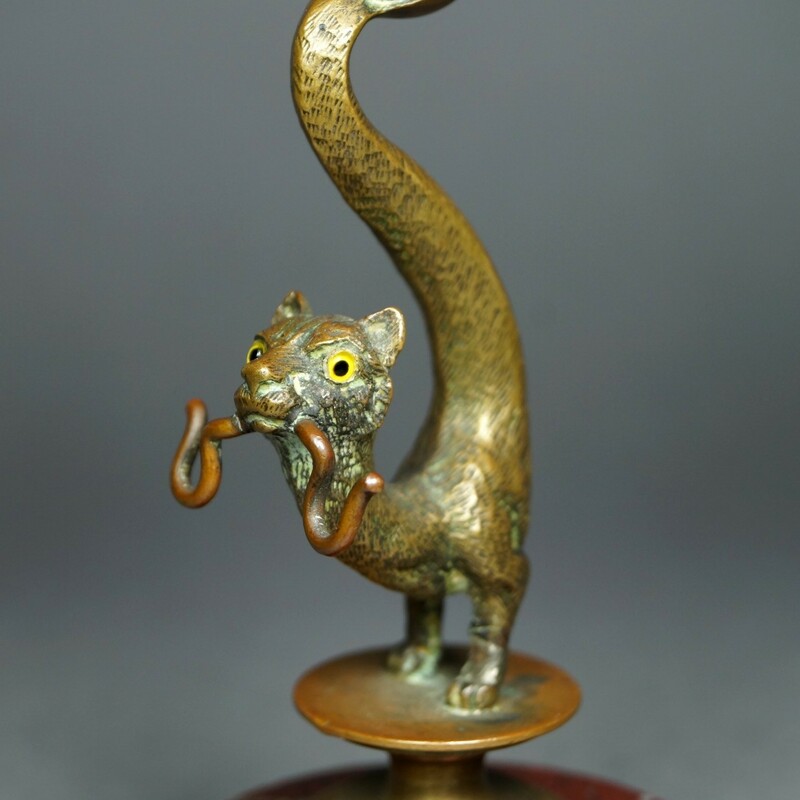 The very functional candlestick is finely modeled as a stylized cat complete with its original glass eyes. The cat stands on the most wonderful grand Red Alicante marble base. We particularly like the Greek key border which adorns the top of the candlestick. This is a unique, quality item that will display excellently. This is the perfect item for anyone who loves cats. Please see our other related item shown in the final image, each sold separately. Condition: Some minor bumps and nibbles to the base and a small section of repair to the bottom rim (seen via our images).